A timely medication is a primary step towards the healing of an ailment. But, it gets really difficult to keep track of the medications and their consumption time when there are too many medicines. 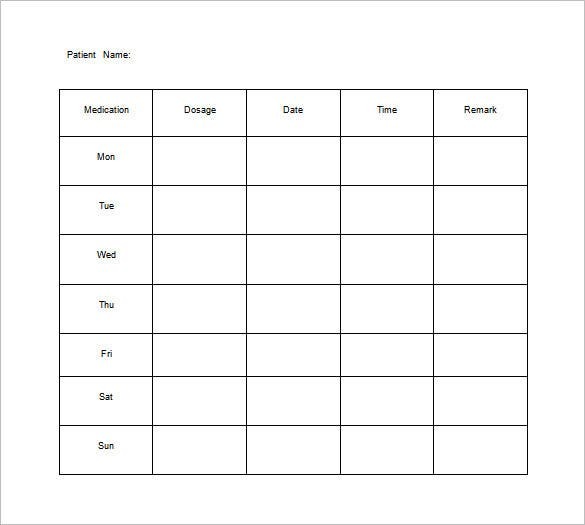 A medical chart template helps by recording all medicines prescribed for the Patient Chart Templates along with their consumption time. This is a great step towards eliminating medication errors. 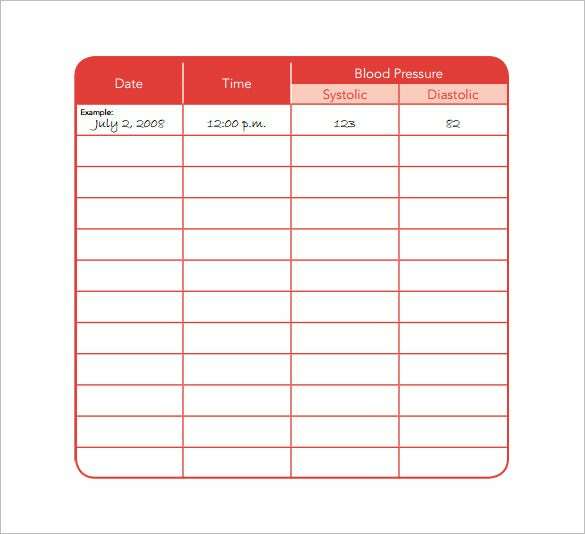 The weekly medication chart is a small chart that keeps track of a patient’s medication for a week. Each row signifies the days and the columns signify the dosage, date, time and remark. 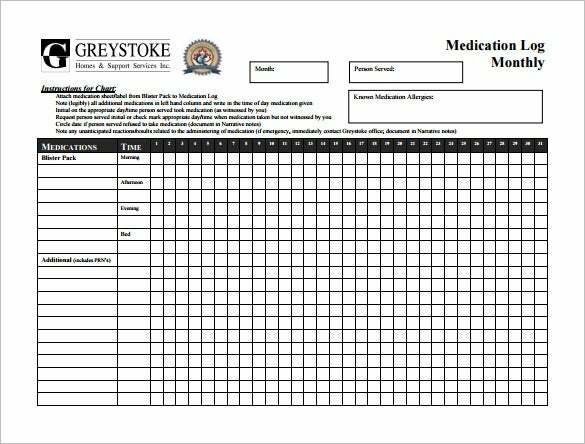 greystokehomes.com | The monthly medication chart is a big chart that keeps track of the medication for the month. The chart contains the medicine to be taken and keeps track of the days it is consumed. 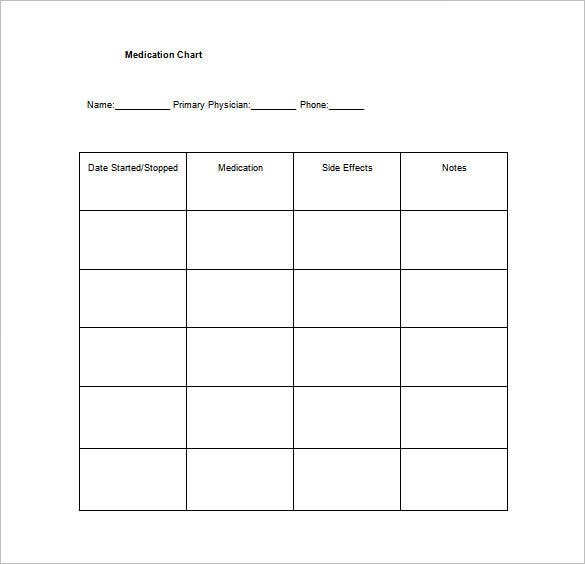 myhealth.alberta.ca | The daily medication chart is an intuitive chart. It requires the name of the medicine needed to be taken and when the medicine is consumed, the time is ticked in the column of the chart. 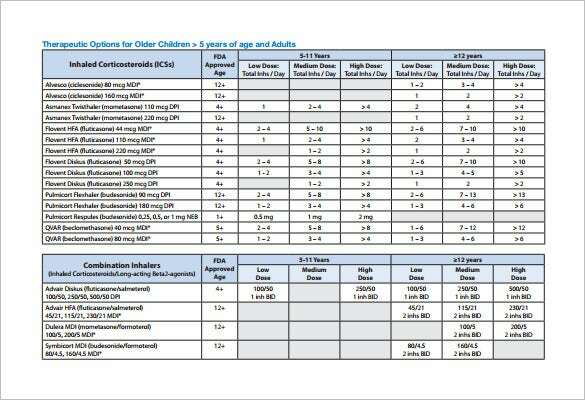 The home medication chart is a simple to use chart that is used at home. It stores the name of the medicine, the duration of intake, the side effects and any notes pertaining to that medicine. healthteamworks.ebizcdn.com | The diabetes medication chart is a comprehensive chart that provides each and every detail of all the medicines created to curb diabetes. It also includes the side effects and the dosage information of the medicines. 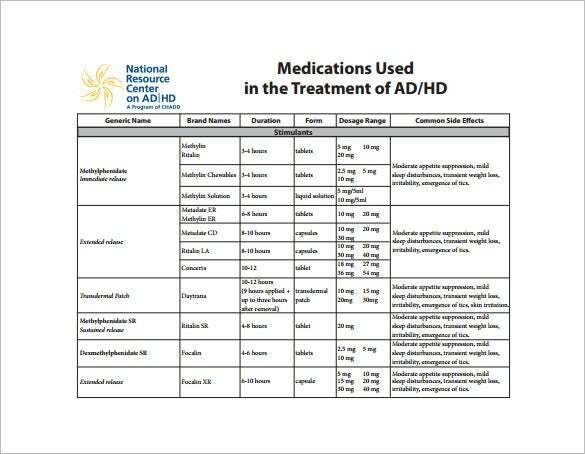 help4adhd.org | The ADHD medication chart is also a well detailed chart that provides information of all the medicine that is used to treat ADHD. 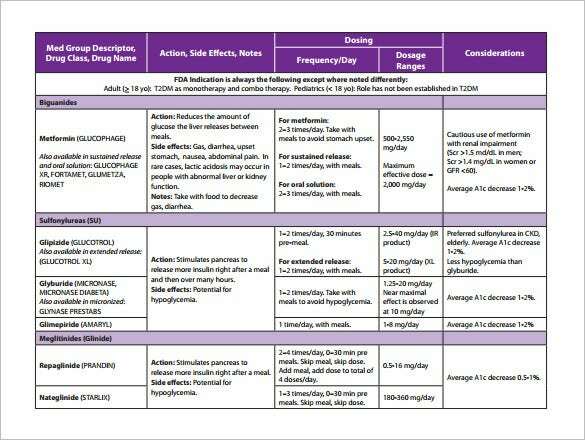 The chart also provides information about dosage and side effects of all the medicines. 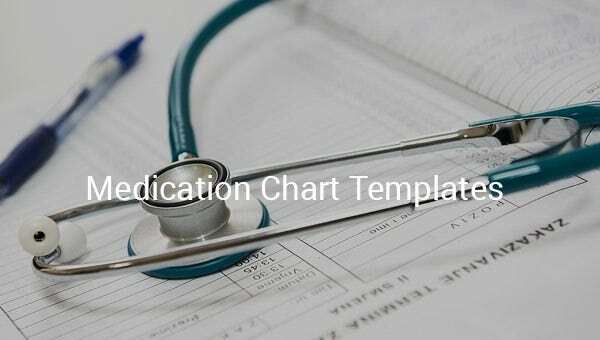 A medication chart template Excel helps in improving patient’s safety and also reduces administrative pressure of prescribers, nurses or care staff, by a great extent. 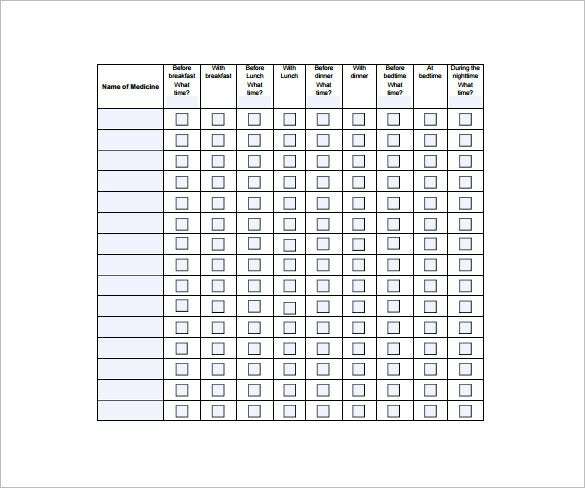 Some of these Free Charts Templates even offer space to mention any adverse reaction or side effect the patient might encounter from a specific medication.